A math app for iPad helps kids on maths via quizzes and mini fun games. This app is intended for kids of age 7-8 or grade 2. 1. 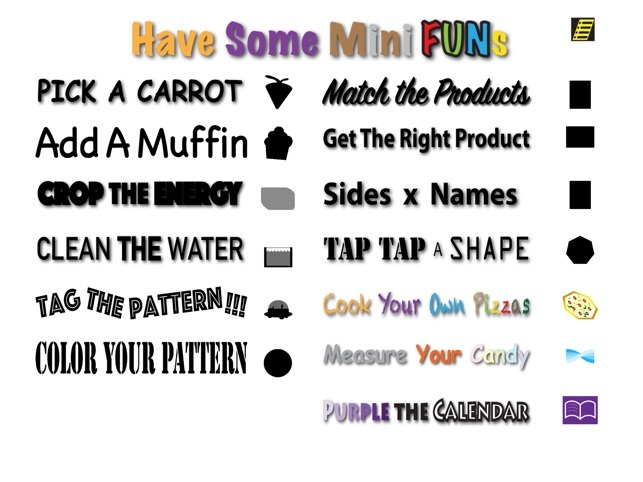 Math Section: addition, subtraction, pattern, multiplication, shape, measurement and time. 2. 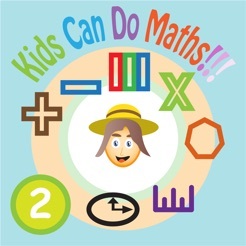 Mini fun games: related to maths for kids to recapture what is experienced in quizzes. 3. 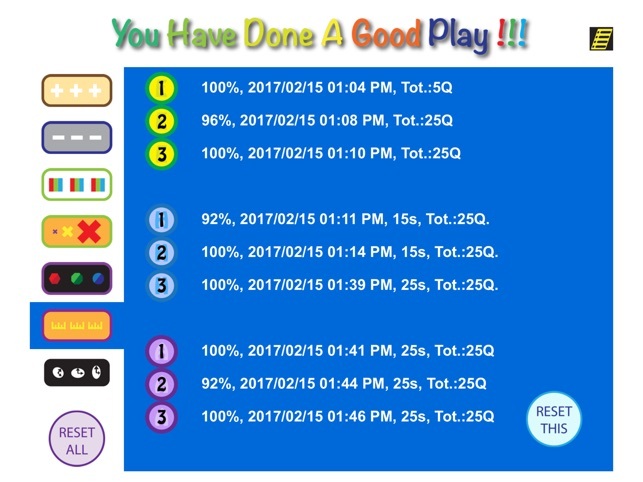 Score board: for keeping track on how well kids have done. 4. 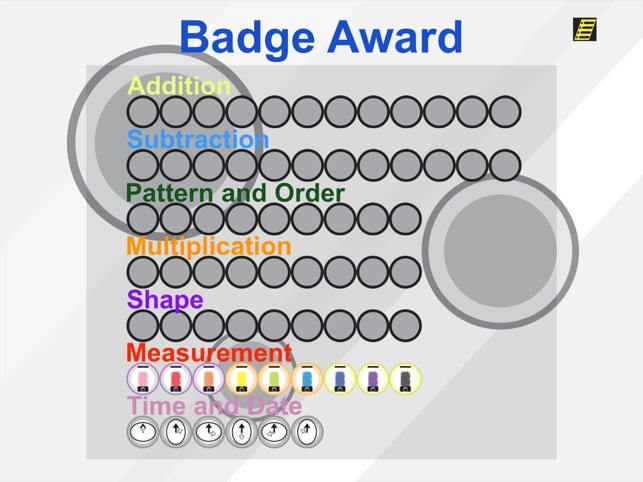 Badges: a display of achievement that kids have done. 5. Multiplication Table: a 10x10 table as an assistance on multiplication.